Issue Mifare cards easily with the Mifare card writer; all the user needs to do is place the card and scan a fingerprint! No hassles, no complications! The Mifare Card Writer is made compatible with the commonly available Windows Operating Systems including Windows 2000, 2003, XP and Vista. 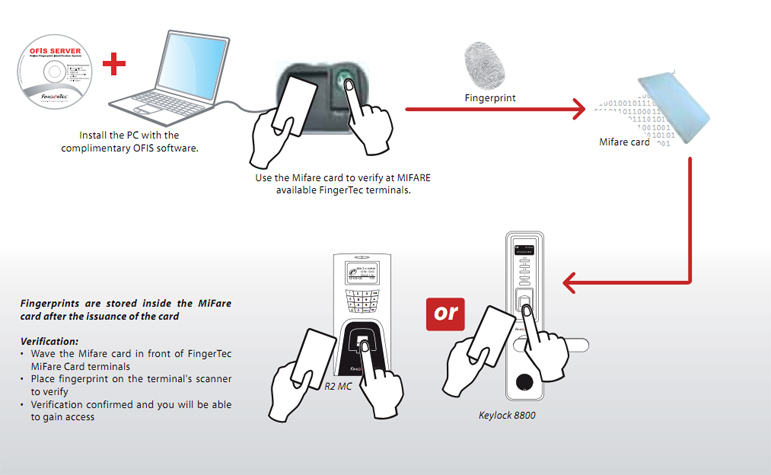 The Mifare card writer comes with a fingerprint scanner that besides enrollment can be used as verification station for time attendance and PC logon. A purchase of the Mifare card writer entitles you to 5 free Mifare cards that are compatible with the system. The MiFare Card Writer comes complete with an SDK which can be integrated with most of the programming languages like C#, VB.Net, VC++, Delphi, VB 6 and etc. 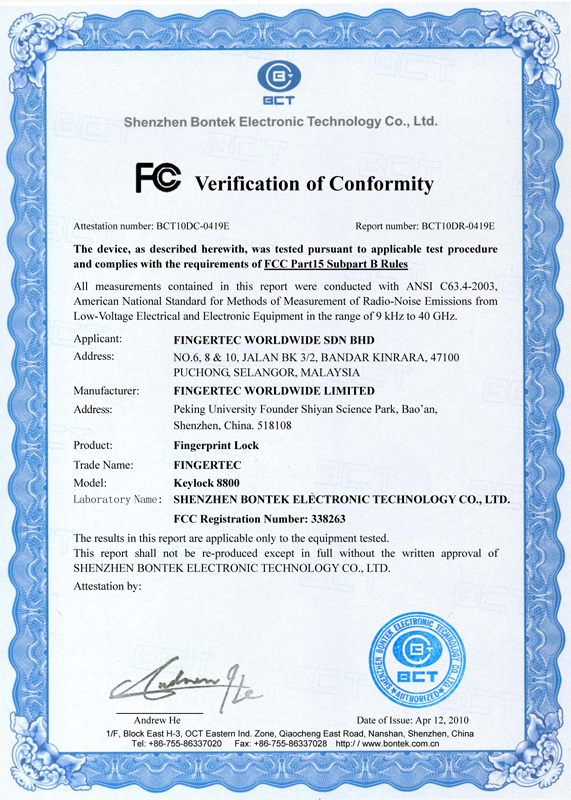 The fingerprint data derived from the Mifare card writer is compatible with all FingerTec MiFare models including Keylock 8800 Mifare model, a mechanical standalone fingerprint doorlock. Availability of the Mifare Card Writer makes biometrics implementation in some complicated application scenarios like hotel guest management, club membership etc. The size of the card writer makes it easy to use and store, providing convenience to all users. The simplicity and practical design of it makes it useful for various functions, as well as makes it user-friendly and self-explanatory. It comes with a USB port for easy application and data transfer.